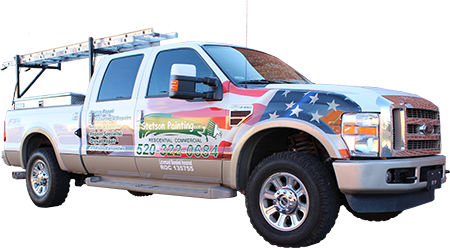 As one of Arizona’s oldest family-owned and operated, fully licensed, bonded and insured painting contractors, Stetson Painting services Tucson, AZ, and its surrounding communities with a highly trained professional staff of painters, some who have been employed with Stetson Painting for over 10 years. We have a perfect rating with R.O.C. 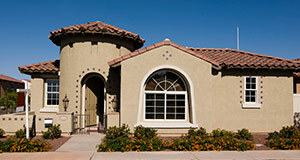 , BBB A+ accredited and are in the “10 best” painting contractor’s listing in Arizona. Stetson Painting has been in the Painting Industry since 1986. We became a fully licensed bonded and insured contractor in 1994. Stetson Painting provides a vast array of residential exterior painting services, from power washing, stucco repair, caulking, sheetrock repairs, waterproofing,expert computer paint matching, and more. We use a 14-step procedure to ensure the highest quality possible. Stetson Painting provides a vast array of residential interior painting services. From all phases of drywall installation- repair and texturing, caulking, wall-paper removal, staining, varnishing and lacquering and more. We use a 6-step process to ensure the highest quality possible. 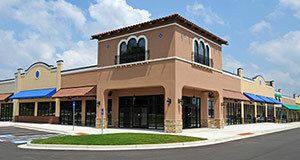 Stetson Painting provides complete commercial painting services. From interior to exterior painting, new construction, tenant improvements, repaints, drywall, stucco repair, specialty working hours, expert computer paint matching, color consulting, daily site clean-up, safety certified and lift certified. Stetson Painting services combine reliability, quality of workmanship, and value for your money. We know there are many painting companies from which to choose; however, we are the premier painting company in Arizona. Stetson Painting is the premier painting company in Tucson because our employees are 1. highly trained; 2. maintain a professional appearance; 3. exhibit detailed oriented work ethic; 4. provide excellent communication skills; 5. take pride in our craftsmanship and 6. provide outstanding service to our customers. Simply put “We treat your home as if it were our own”. Our employees receive incentives for excellent customer feedback. Our employees’ goal is to make sure all of our customers are satisfied. All employees are background checked and drug tested. In addition, we use E-verify to provide proof of citizenship from all of our candidates prior to employment. Stetson Painting’s goal is to achieve a long-term business relationship through continuous high standards of work completed according to professional trade association standards, together with a sensible pricing policy. We offer a 100% customer satisfaction guarantee on all of our work. All of our work is backed by our FREE three (3) year-written warranty with up to a six(6) year warranty option. Jerry Stetson, owner, is deeply involved in each project at Stetson painting and all work is personally inspected by the him. We are confident that the decision made in awarding any bid will not only be considering the monetary value of other bids, but also the quality of the company that will properly carry out your project from start to finish. The reputation of STETSON PAINTING comes directly from providing premium quality paints, the highest quality service and continually establishing long-lasting, solid business relationships with its customers. Our commitment to quality, service record, knowledge of the trade, superior products, safety policy, excellent work ethics, and the best service possible are convincing reasons to choose Stetson as your residential and commercial painting contractor.